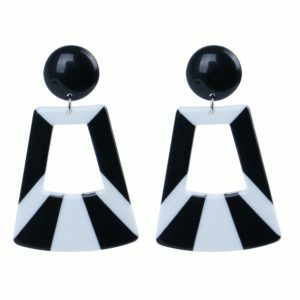 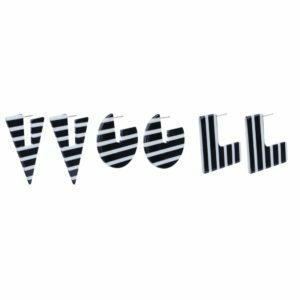 Black and white always makes the most striking combination and our new jewellery lines in black and white acrylic are no exception to the rule. 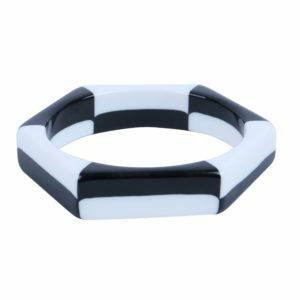 Our two-tone hexagonal bangle is a stunning piece which complements the dynamic earrings in the range. 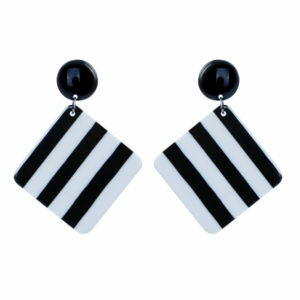 Strong vertical and horizontal stripes feature in large graphic shapes on shiny polished statement earrings. 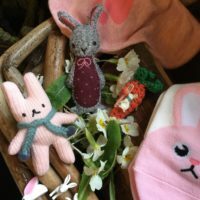 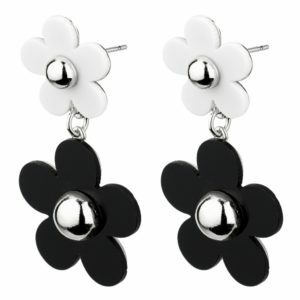 Button top drop earrings have a chunkier feel with a distinct retro vibe. 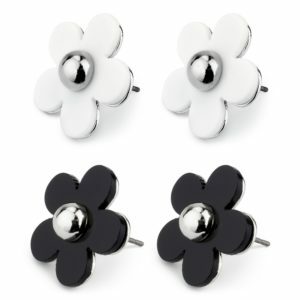 For more modest tastes, we have smart little ‘illusion’ stud earrings with an optical effect black and white pattern. 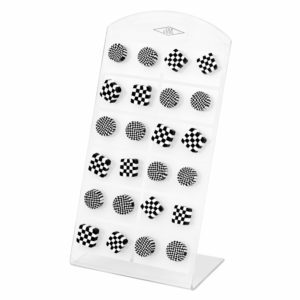 These small studs in round and square still cut a dash on their point-of-sale display of 12 pairs. 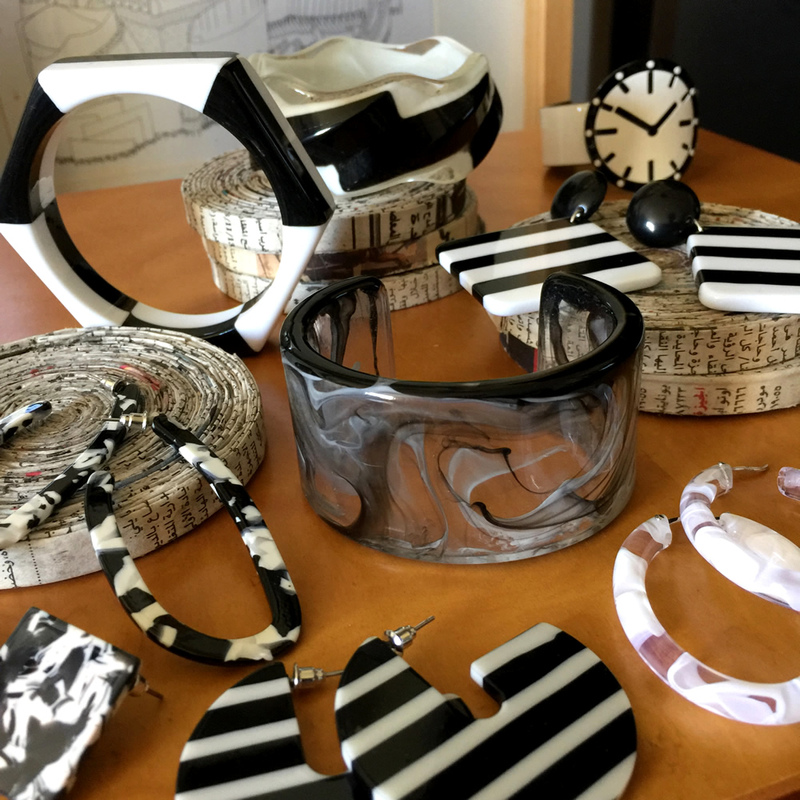 Other black and white in the Arthouse collection is a little softer with ‘space dust’ bangles, wide and narrow in clear and white acrylic and marbled resin hoop earrings. 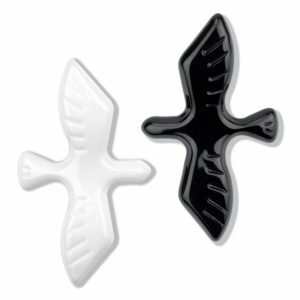 Our bird brooch duo, one in white, one in black, make a stunning pair and flower earrings reminiscent of the cool designs of Mary Quant, offer an alternative look. 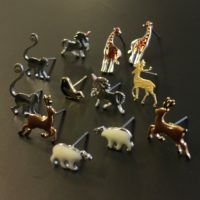 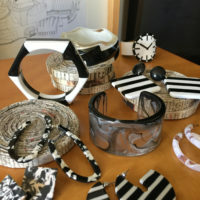 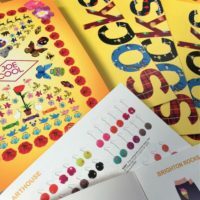 Several of the more colourful jewellery designs in the collection also contain a monochrome element, reflecting the current importance of this trend. 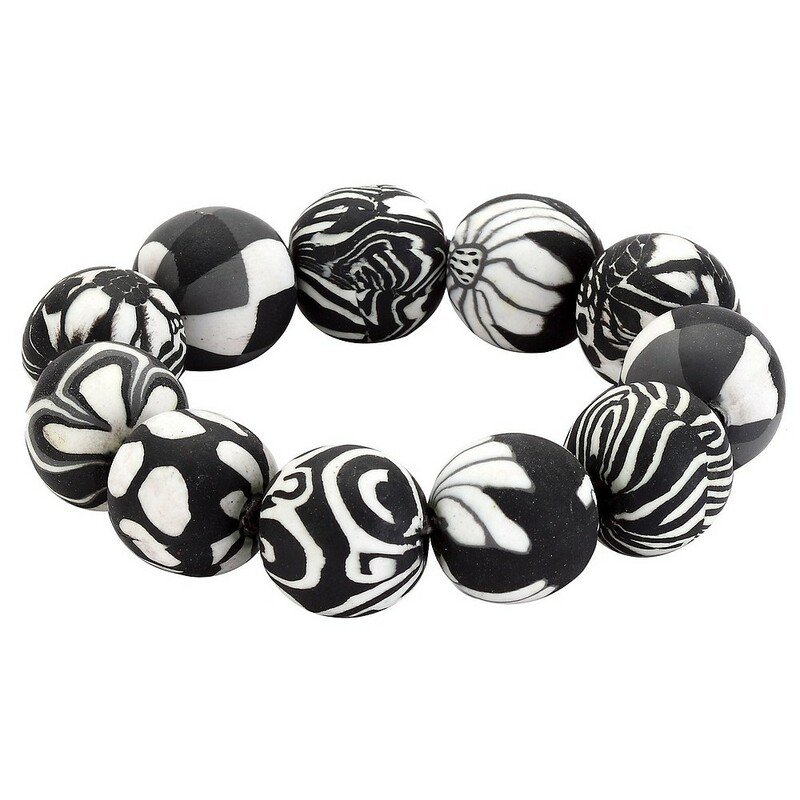 Whether as a ‘colourway’ or part of an overall design, black and white invariably adds style! 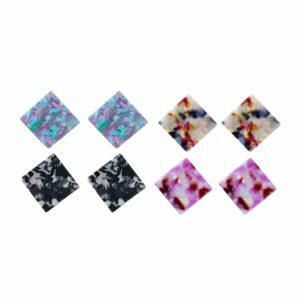 An attractive mottled effect is achieved in our cellulose designs. 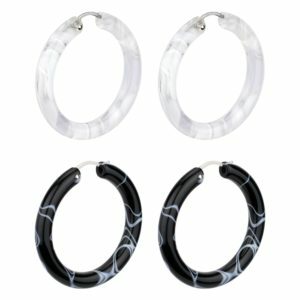 Marble square studs and mottle long hoop are both interesting and attractive. 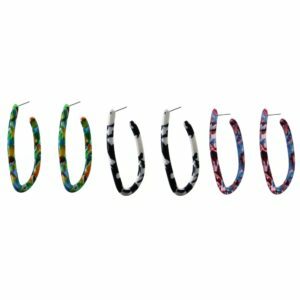 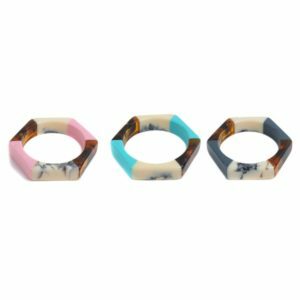 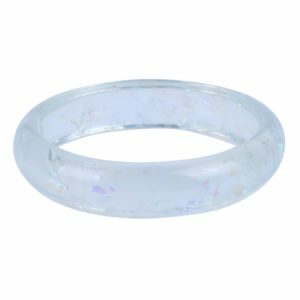 The ‘Soft hex’ pastel and marbled bangle is an unusual combination of colour, pattern and shape. 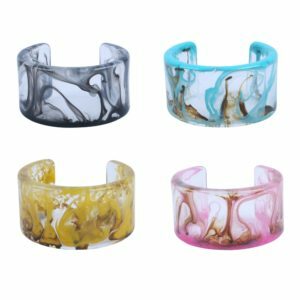 ‘Resin Fusion’ is a bangle of shiny acrylic with a beautiful fluid design and ‘trisect’ another striking form in black, white and mustard yellow. 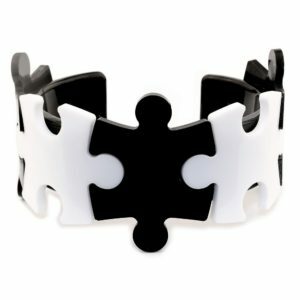 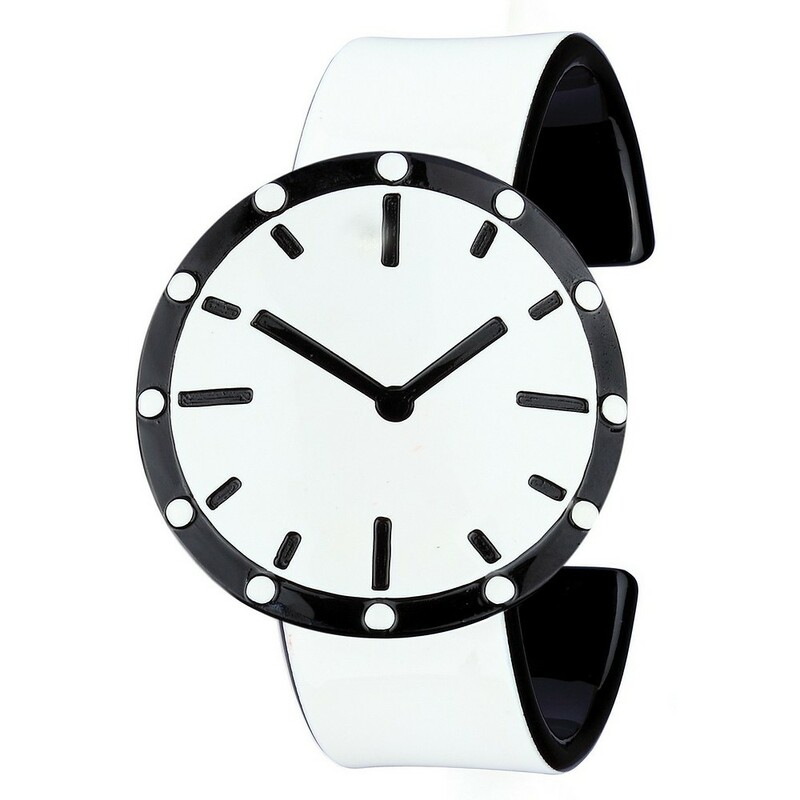 More Joe Cool classic black and white styles include the beaded stretch fimo bracelet, witty jigsaw bangle and the ‘clock’ cuff featured above. 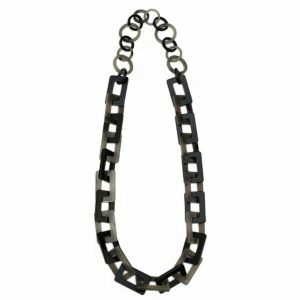 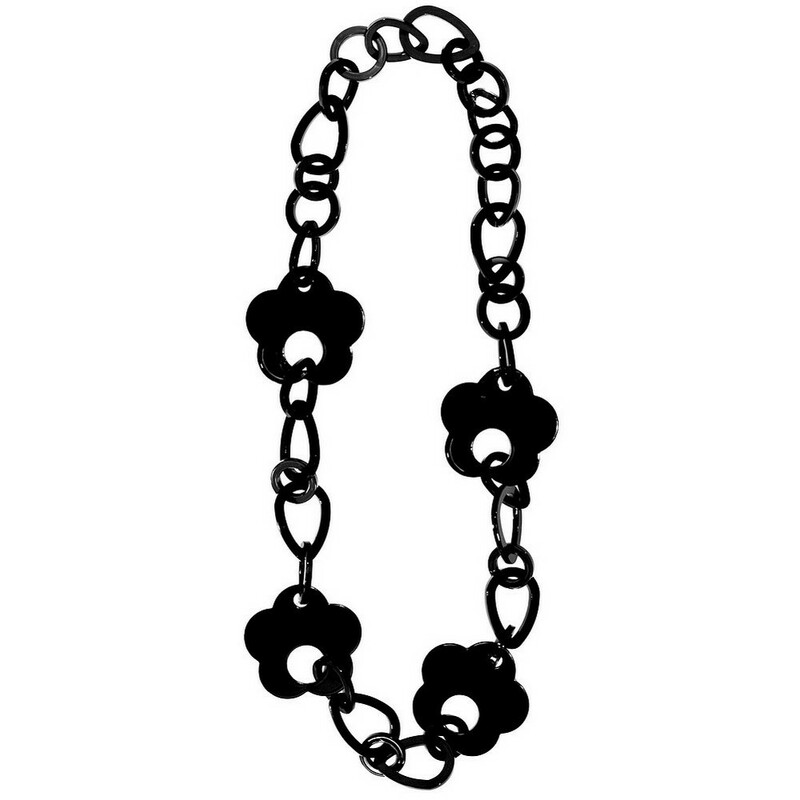 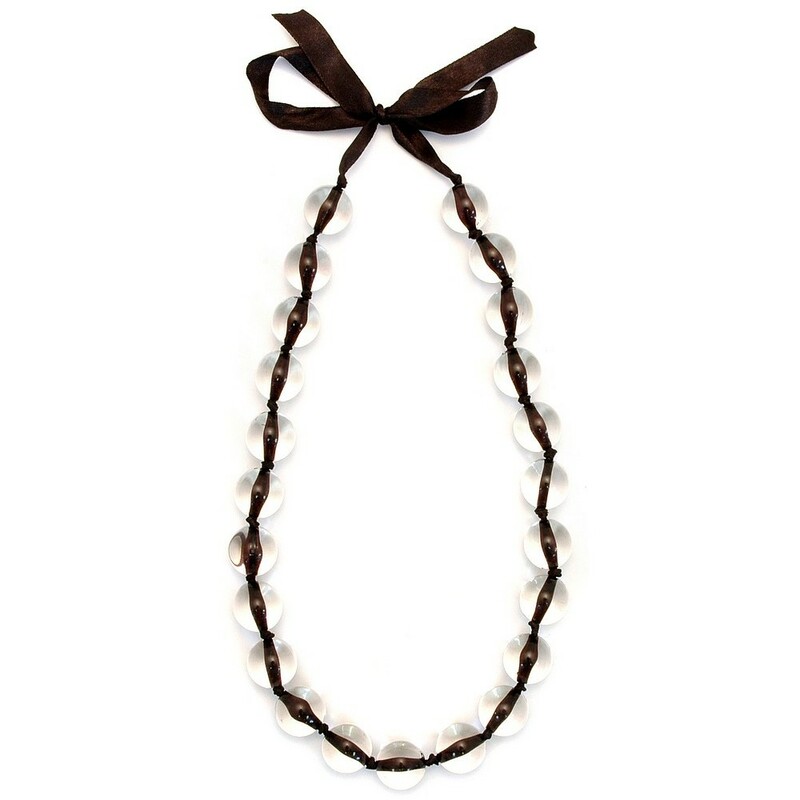 Necklaces include statement acrylic chains as shown and lots more beside.